Events are used for a chronological time line of OH&S activities. Once the Form has been completed it will have a Form Number assigned. All assigned Forms will appear in the Forms screen under List. 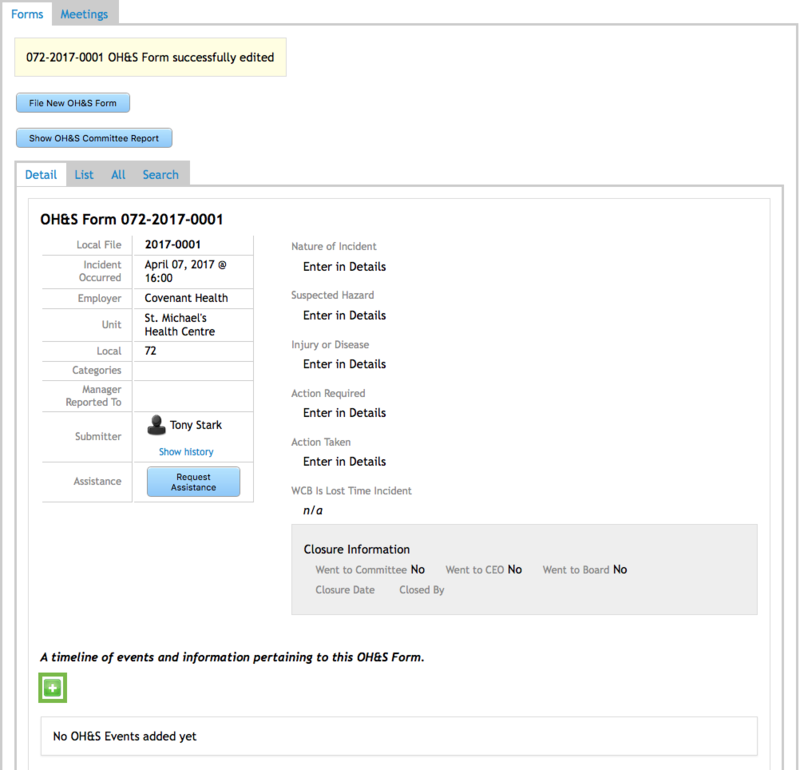 To add Events, click on the Assigned Number to open up the Form. Once the Form is open, a Plus Sign will appear at the bottom of the screen. Click on it to Add a new Event. The New OH&S Event screen will open. Complete the information for the Event. The Type field has a drop-down menu. The two option are Regular and Information Request. Regular is chosen for an event only. Information Request is used when further information is required. Those Events will de directed to OH&S Advisor at Provincial Office. Once everything is completed click on Add. Once an Event has been created, a document may be attached to the Event. If there are many documents, they need to be merged together as only one document can be uploaded and attached. Under the Document column is a Document Icon. Click on it to add the document. Attach the file by clicking Attach. The File will then be uploaded and attached. To view the Document, click on the UP Arrow in the Blue box. If it needs to be removed, click on Remove. If any modifications are required, click on the Pencil to edit the Event. The Trash Can is used to delete the Event if it is no longer required. The Form column indicates who created the event. 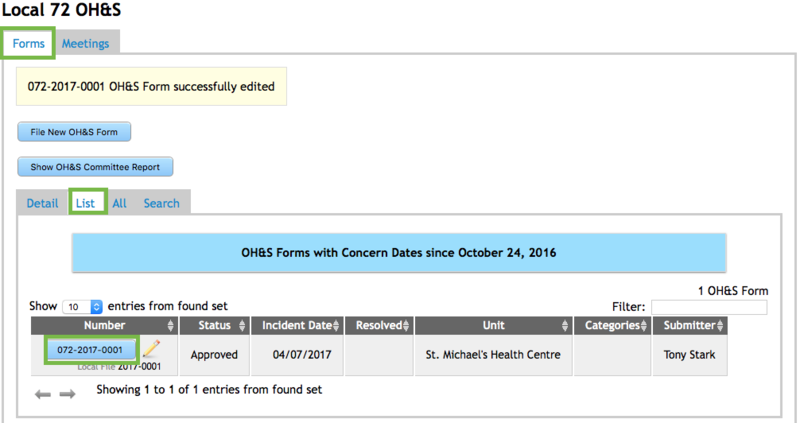 OH&S Provincial staff can also add Events. These will show as UNA under Form and they will be read-only documents.